A person’s hair can become dry for many reasons. Washing it too much, using harsh hair products and not having a balanced diet can all lead to dry and brittle hair. The good news is it’s usually simple to identify the reason why your hair may not be as hydrated as it needs to be. And it’s even simpler to alter your hair care routine to get it back to normal. Here are some tips to improve your dry hair. Some shampoos are designed for people with dry hair. This could be a quality hydrating shampoo, and it’s definitely a shampoo free of sulfates. Shampoos with sulfates can strip the natural oils in your hair more harshly than others, so it’s best to avoid those. And the more moisture you can put into your hair when you wash it, the better off it will be. Switch to a hydrating shampoo and see if you notice any results over the course of a few weeks. Hot water on the hair can cause it to swell and release some of the moisture in it. So while you think you are helping your hair, you may actually be hurting it if the water temperature is too hot. Try turning down the temperature just a bit and finish your hair-washing routine off with a rinse of cold water to trap the moisture back in the hair strands. It’s tempting to wash your hair with a hydrating shampoo every day with the intent of putting moisture back in it. But the nature of washing your hair will strip the oils from it, so it’s best to skip a day or two occasionally. After day two or three without washing your hair, you should see noticeable differences. Everyone’s hair is different, so you may have to experiment with your hair-washing schedule to see what works best to bring out the natural glow of your hair. The outside elements you expose yourself to can lead to dry hair as well. Wind and sun are two of the most common elements that can dry out your hair quickly. Protect it as much as possible by wearing a hat when you know you’ll be out in the elements for an extended period of time. Also be sure to carry around some hair products for Remy hair to protect it throughout the day. RemySoft knows how frustrating it can be dealing with dry hair on a daily basis. It definitely takes a little patience to get your hair back to normal, but the results are well worth the effort you put forth. Whether it’s incorporating new hair products for Remy hair or making a simple adjustment to your hair-washing schedule, you’re likely just a couple steps away from eliminating your dry hair. Don’t hesitate to contact us at any time for more tips on managing your hair. Whether you love or hate your long hair, you have to maintain it in order for it to look great. Long hair is typically easier to damage, but with the right hair products for Remy hair and a consistent hair care routine, having shiny long hair every day is simple. In fact, sometimes the simpler your routine is, the better off your hair will be. If you’re struggling with making your long hair look as shiny and flawless as you’d like, here are a few tips to help you out. When it’s time to wash your hair, the only product you should consider is a sulfate free shampoo. Using a shampoo with sulfates can damage your hair and leave it looking dull and lifeless. But even when you use a quality sulfate free shampoo, you shouldn’t wash your hair every day. Washing too often will strip the hair of its natural oils and take away its shine as a result. When you’re in between hair washing days, consider incorporating a great leave-in conditioner. This is one of the most underrated products for maintaining shiny hair, especially long hair. Not only will getting a regular trim keep your long hair looking neat, it will also keep it healthy. All hair will develop split ends after several weeks, so getting it trimmed consistently will ensure you always have flawless long hair. 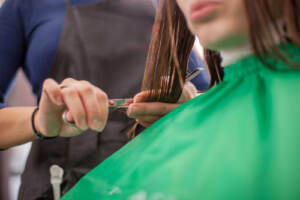 And contrary to popular belief, trimming your hair frequently does not cause it to grow faster, so you won’t have to worry about your hair growing out of control. When you’re struggling with maintaining the shine in your long hair, it’s tempting to use a combination of hair products to try to figure out how to fix it. The reality is you may be causing more harm than good. You should only use a couple of hair products for Remy hair on a regular basis. The more products you incorporate, the more it will build up on your hair and leave it looking heavy and flat. Keep it simple with the products you use and only use them when they are absolutely necessary. RemySoft takes great pride in helping everyone have the shiny long hair they desire. We understand the daily challenges of maintaining long hair, and we are here to suggest the perfect hair products for Remy hair to make your hair care routine simple and easy. Sometimes all it takes is incorporating a leave-in conditioner to make a world of difference. Feel free to contact us at any time to tell us about your hair and to get tips on how to best maintain it. Did you know your hair could be telling other people a lot about your personality? You may not think it’s true, but it’s human nature for people to judge others quickly. And since your hair is one of the first things they notice, it’s possible your personality is judged based on how it looks any given day. Here are some secrets your hair may be telling about you, so you can adjust your quality hair care routine accordingly. Short hair in both men and ladies can suggest a strong-willed and confident personality. 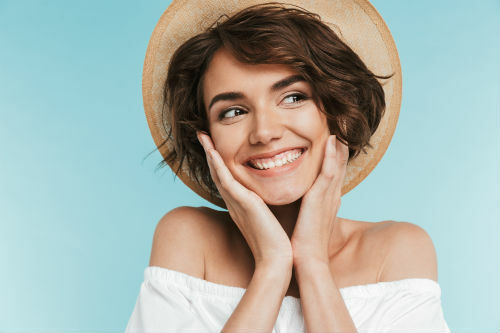 Since short hair tends to draw attention to the face and eyes rather than the hair, you can enhance this confident personality even more by looking people directly in the eyes when talking to them. Most people who have short hair are very confident in themselves, so your short hair may give off that expectation as well. When you tie up your hair, it shows you’re comfortable with a relaxed personality. It could mean you like to party all the time or simply suggests you want to be comfortable whenever possible. It doesn’t take an extensive quality hair care routine to tie up your hair, so it’s perfect when you’re in a rush to go somewhere or if you’re just lying around the house on a lazy day. Believe it or not, long hair could suggest you are somewhat afraid of change and would rather be cautious and keep things the same. Of course, this judgement is completely subjective and may not be true at all if you just happen to be wearing hair extensions that day. But just because you have naturally long hair doesn’t mean you have to be cautious. Your quality hair care routine may suggest otherwise, so don’t be afraid to rock your long locks. Different hair colors will draw attention to yourself and show you have a free spirit and are an independent person. You aren’t afraid of conforming to the status quo and will live life how you want to, and you’re showing it with your hair. 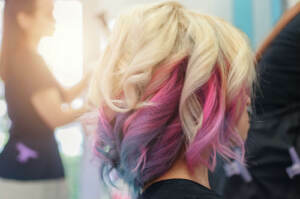 Most people with different hair colors get it colored for this reason, and their free spirit is definitely not a secret as a result. People with naturally curly hair may come off as having a fun and bouncy personality. While people who try too hard to curl their hair may be harder to please since they aren’t quite as happy with their hair. People with curly hair can be sometimes hard to get a read on when it comes to their personality, which is actually one of the reasons why people choose curly hair to begin with. At RemySoft, we truly believe your hair shows a glimpse of the type of person you are. That’s why it’s always important to use a great sulfate free shampoo and maintain a high quality hair care routine to ensure your hair always looks its best. You never know how you will be judged, so always being conscious about your hair will give off the right vibe. Feel free to contact us at any time for more tips about anything related to your hair. We all have those days where we sleep in a little later, wake up with dreadful-looking hair or just simply don’t feel like styling your hair. Ladies will often just opt for a ponytail, while men usually rub in some hair products to cover up their bad hair day. While there’s nothing wrong with these strategies, there are plenty of other everyday hair fixes and hacks you can incorporate when you are having one of these days. It’s ok to skip out on your quality hair care routine occasionally, and here are some options you have when the time comes. Did you know your shampoo could be the reason why you have so many bad hair days? The wrong shampoo can lead to dry hair, which causes it to break and potentially create frizziness. Instead, switch your shampoo to the best sulfate free shampoo you can find. You’ll likely notice fewer bad hair days when you wake up in the morning as a result. But at the very least, your hair will look nice and shiny even on a lazy hair day. Instead of curling your hair, go with a wavy hairstyle. Not only is it quicker, but it looks just as good most of the time. A quick fix for wavy hair is to braid the hair into several separate braids, then heat them up with your hair straightener. 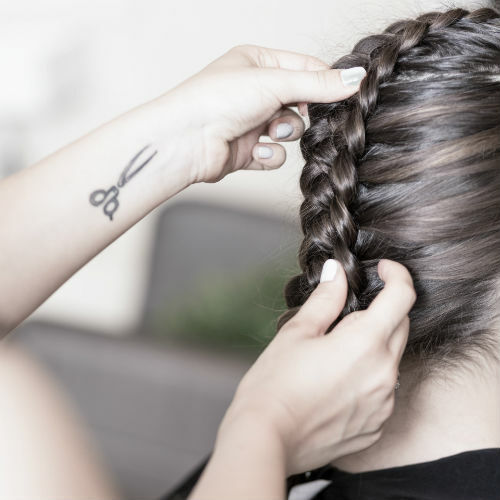 Let down each braid individually, fluff them with your fingers a bit and you’ll have a quick wavy hairstyle that looks like you spent hours styling. There’s no shame in reaching for your hair extensions when you aren’t in the mood to style your hair. 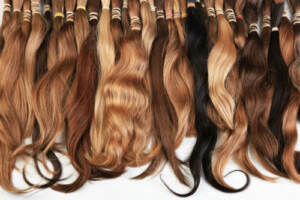 Hair extensions can add a significant amount of volume to your hair when it’s looking flat and dull. Of course, this usually isn’t a problem when you use the best sulfate free shampoo, but you never know when your hair will need a little pick-me-up. And even if you decide to simply wrap your hair up in a ponytail, using hair extensions will increase the volume of it and make it look even better. If you want curly hair one day, but know you aren’t going to have time in the morning to curl it, then consider an alternative method. Many ladies will get out of the shower and braid their hair while it’s still wet and then go to sleep. Then when they get up in the morning, they let out the braids, scrunch up the hair a bit and head out of the house with bouncy curls. Of course, the results can vary among the different hair types, but this quick hack is definitely worth a shot. At RemySoft, we truly believe the simplest hairstyles can also be the most effective. Many of the best hairstyles you see on the red carpet or anywhere else don’t necessarily incorporate a ton of products. Rather, it’s the quality hair care routine they have every day. For more tips and tricks like this, don’t hesitate to contact us at any time. Is Your Hair Making You Look Older Than You Actually Are? Having beautiful hair can make you look and feel youthful and vibrant. On the same note, sometimes your hair can actually make you look older than you are. If you’ve noticed this recently when looking in the mirror, there’s no need to worry. Adjusting your quality hair care routine slightly may be all that’s needed to revive your youthful appearance. Here are some of the main reasons why you could look older than you are and what you can do about it. When you aren’t satisfied with your hair for any reason, the common thing to do is to grab another hair product to try to fix it. While this could work temporarily, you could find yourself with an overload of products. The result may be a lack of volume, greasiness, flat or dull hair and more. Instead, use your sulfate free shampoo and conditioner every other day or so to maintain your hair’s natural shine. And then choose quality over quantity when it comes to hair products to style your hair. Your hairstylist can recommend the best products for your specific hair type. The length of your hair can add years to your appearance. Most people look younger with shorter haircuts like a bob, but everyone’s body profile and facial features are different. Many people choose to go with an intermediate-length with their haircut if they feel like they look older than they are. This will allow them to experience a subtle change at first and then decide whether they want to make a more drastic change later. Flat hair with no volume looks lifeless and boring, not to mention possibly making you look older. There are plenty of volumizing products on the market, but use them cautiously to prevent the opposite effect. Another common way to add volume is to incorporate shiny hair extensions. You don’t have to add a significant amount of length with the extension, but the results from a volumizing standpoint can rejuvenate your appearance. Layers can work wonders when transforming your hair. Your hairstylist should be able to incorporate layers to fit your facial structure perfectly. Layers not only make your hair look wonderful, but they can also hide facial lines and give off the appearance of altering your facial shape. Just be sure to ask your hairstylist how your quality hair care routine needs to be altered so you can maintain the flawless layered hairstyle perfectly. RemySoft takes pride in helping both men and women achieve the appearances they desire. No one deserves to feel uncomfortable in their own body, especially when it’s something as simple as altering a hairstyle. 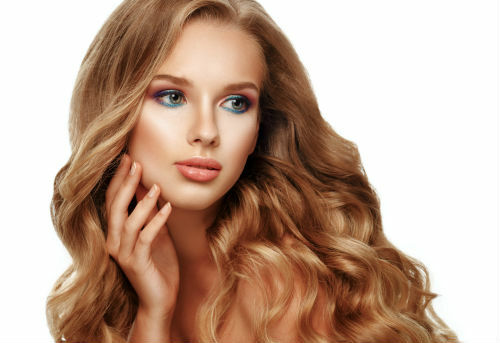 Whether you want to try shiny hair extensions or just need a better sulfate free shampoo and conditioner, we are here to help. Feel free to contact us at any time for suggestions about your hair. If you’re looking for a new hairstyle that’s casual, fairly easy to create and can be worn for virtually any occasion, then textured waves may be your new favorite hairstyle. It’s one of the most unique hairstyles and it’s becoming more popular every day. Whether you’ve seen the style worn by your favorite celebrity, seen it in a magazine or anywhere else, you are only a few steps away from achieving it yourself. Here’s a quick guide on how you can pull off this beautiful textured wavy hairstyle with a little help from hair extensions. Whether your hair is naturally curly, wavy or straight, it’s always important to start with a wash using the best sulfate free shampoo you can find. Then you can use a protective hair serum if you have it and blow dry your hair as you normally would. Once the hair is completely dry and free of tangles, you’re ready to get creative with hair extensions. 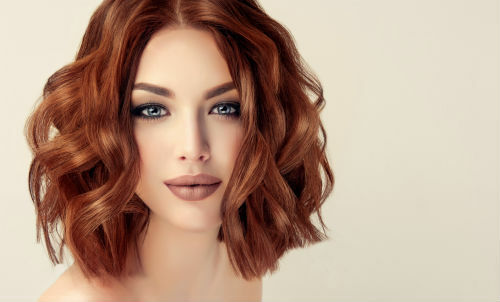 We will start by saying it’s not completely necessary to use hair extensions to pull off this hairstyle, but you will be amazed by the difference it creates from a volume standpoint. Work with your hairstylist to find the right extensions specifically for your hair to create the perfect amount of volume you desire. This is where you can get creative and personalize the look. Just be sure to blend in the hair extensions to create a seamless appearance, and use as many extensions as you need. Once you’ve got your extensions secured, it’s time for the fun part. Spray in your protective hair serum and grab your curling wand to start the texturizing process. Your ultimate goal is to make the curls loose and slightly messy, so they will turn into beautiful textured waves. Detail is key during this step, so work in small sections to ensure every strand of hair gets worked with evenly. And once you release your hair from the wand, give it a scrunch with your hand to create even more definition as it sets. When you’ve curled it all, let it loose, tease it with your fingers and enjoy your textured waves. At RemySoft, we truly believe anyone can pull off any hairstyle they desire. Sometimes hair extensions may be required, but other times you simply just need to incorporate other hair care products. Textured wavy hairstyles like this are a prime example, as it’s a hairstyle that looks difficult to achieve, but is actually fairly simple. If you need any other tips or tricks on how to pull off this look, never hesitate to contact us at any time. There’s no question how effective heat tools can be when styling our hair. On the same hand, we know every time we use them, our hair has to pay the price for it. Heat protectant products can only be so effective, and the only way to truly protect your hair from heat damage is to not use the tools at all. But how are you supposed to style your hair without using the straightener or curling iron? Always start off by washing your hair with a great sulfate free shampoo, apply some leave-in conditioner as needed and check out these heatless hairstyles to try. Start by parting your hair to one side, take the large section of your hair in front and make a regular braid. When you’ve got the braid finished, pull the loops a bit to increase the volume. Then simply twist your remaining hair away from your face and fluff it out a bit. Wrap the twist around the braid and secure it and you’ll have a unique and creative hairstyle that looks like you spent a lot of time on it, but really didn’t. And you never have to use heat tools to pull this look off. The half-up, half-down bun is one of the most popular heatless hairstyles. Depending on how long your hair is, you may need to use some clip-in hair extensions to achieve it. The key to personalizing this hairstyle is pulling out certain hair strands from the bun in order to frame your face. It’s the perfect messy hairstyle that can be worn for many occasions. 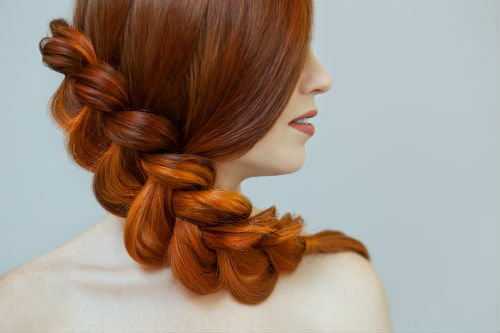 This hairstyle is simple enough, and requires you to part your hair down the middle and create two dutch braids. The creativity is up to you, as you can add hair extensions for volume, incorporate hair accessories and more. With a little practice, you can create nice tight braids without using any heat tools to make the hair stay in place. Most ladies have worn the messy bun a time or two. In fact, it’s the ultimate go-to hairstyle because it takes mere minutes to achieve and doesn’t require perfection. And the messy bun sometimes even looks best with hair that hasn’t been washed in a day or two. Applying some leave-in conditioner will give it shine, volume and make it easier to work with. RemySoft understands the need for using heat tools for certain occasions, but there are plenty of heatless hairstyles you can incorporate as well. Every great hairstyle starts by using a quality sulfate free shampoo. From there, you can combine a mix of accessories, hair extensions and creativity to pull off simple hairstyles without damaging the hair. For more tips and ideas like these, contact us at any time. There are times when we feel like creating a magnificent hairstyle and have all the patience in the world to do so. Other times all you want to do is stay in bed until the last minute and don’t necessarily care what your hair looks like. When you’re having one of those inevitable lazy days, your hair doesn’t have to suffer tremendously. Sometimes simply clipping in hair extensions will cover up some flaws, and other situations may lead to you simply pulling your hair up into a ponytail. Regardless of how you’re feeling any given day, here are three lazy day hairstyles to consider to help you get through the day when you lack motivation for styling your hair. The low bun literally takes a few seconds to do, since it doesn’t require straightening or a significant amount of quality hair care products. In fact, the entire purpose of this hairstyle is to appear messy, but still look like you didn’t just roll out of bed and go to work. 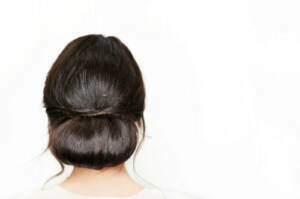 You can make the low bun as messy or as clean as you’d like by pulling out hair strands from the bun, or making it tighter or looser as a whole. Throw in some simple jewelry and you’ll be ready to head out the door within minutes upon getting out of bed. We aren’t making any breakthrough discoveries here by telling you the high ponytail is the ultimate lazy day hairstyle. This is the go-to hairstyle for any lazy day, but have you ever added in hair extensions to go with it? Hair extensions will add both length and volume to your ponytail, which makes it look like you spent a lot more time on it than you actually did. This is just another good reason why it’s always handy to have hair extensions available, since you never know when they’ll come into good use. If you’re lucky enough to have straight hair without having to spend a lot of time straightening it, then you may not have any issues with finding a lazy day hairstyle. But if you want to spice up your hairstyle while still wearing it down, consider incorporating a hair band or other accessories. Drawing some attention to the accessories you use is a great way to hide any flaws in your hair, especially if your lazy hair day is combined with a bad hair day. RemySoft understands everyone has to have a lazy hair day every now and then. It’s much easier to still have your hair looking great on a lazy day when you have healthy hair. By using a quality hydrating shampoo often and maintaining an overall good hair care routine, lazy hair days are no big deal. If there’s ever anything we can do to help with your hairstyle by providing tips or the right products for you, don’t hesitate to contact us at any time.